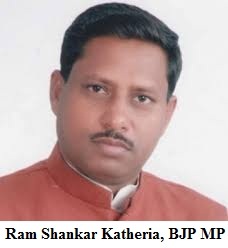 Union minister Ram Shankar Katheria warns Muslims in Agra, Hindus urged to pick up guns and take revenge: Will he be booked for sedition, hate speech? This is unimaginable but true. A union minister and BJP MP threatening and abusing Muslims openly. 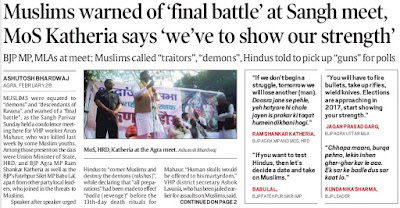 Other speakers urging Hindus to take up weapons, terming Muslims as 'demons' and exhorting for 'final battle'. Besides, speaker after speaker, talking of how to show the Hindu strength and 'destroy Muslims'. Indian Express has reported it on Front page. That there were BJP, VHP, Bajrang Dal and RSS leaders who spewed hate openly against Muslims and gave a call for violence and revenge, shows how the situation has worsened in the country. In the city of love, Agra, so much hatred is spread. The man preaches hate, wants to divide the country on communal lines, calls own country men [Muslims] as 'enemy' and he is still a UNION MINISTER! Incredible India. This is happening in a supposedly evolved and great democracy like India. All institutions seem paralysed. Do we hear Union ministers giving call for violence against minorities in any other neighbouring country, even those nations that are notorious. The Centre should have taken immediate steps after he attended the meeting and made the inflammatory, criminal speech. This man should have been dropped from Union cabinet immediately. In fact, Katheria should have been arrested by now. *Will sedition case be registered against him by Akhilesh government? *Will Prime Minister Narendra Modi take action against Katheria for hate speech? *Will National Commission for Minorities (NCM) take action? Congress vice-president Rahul Gandhi has recently been booked for sedition. As you know, there are two ways to register a case. First, any person approaches police though in this case generally police refrain from registering FIR on flimsy ground, especially, against personalities living outside jurisdiction of the police station. The second way is that a person directly files a private complaint in the court and the court either registers the case or orders police to take action in this regard. So, a lawyer, who is naturally more aware of law, filed the complaint in court and got FIR registered against Rahul Gandhi. Get cases registered against him across India, in different cities. MF Husain faced the situation and as he was a rich man, he could afford to leave India and settled in Middle East. But for most pople, it's not easy thing [there are exceptions like Raj Thackeary though]. How easily a lawyer approaches a court and whether it was cognisable crime or not, the FIR was registered! It all started in the eighties. The right-wing in India has been steadily working to gain foothold in each sector--administration, media, among lawyers et al. Either it is the recent incident of lawyers' attack on Kanhaiya or the manner in which lawyers thrashed a group of protesters in Allahabad, it shows how the project has worked over the years [for the right-wing]. 1. Congress kept its eyes closed or it was a silent assent. It played 'soft Hindutva' as it feared that 'Hindu vote' would go away. But in this competition Congress would always be a loser. It can't compete with BJP in 'Hindutva' and 'Hindu Nationalism'. Can it? 2. For Congress, what would have been prudent was to be strict on law-and-order and tackle the growing communalisation, through legislations and crackdown on right-wing radicals, groups. But it failed miserably in dealing with the Saffronisation. 3. BJP kept raising issues regarding Kashmir and Afzal. Congress kept falling in the trap. Even after hanging Afzal, it seems that Congress is pro-Afzal and BJP is nationalist despite alliance with PDP. That's what happens when you follow others instead of doing your politics. 4. When Congress was in power, it remained soft on right-wing radicals who were found involved in terrorism. It also failed to ban Bajrang Dal or similar outfits despite the fact that the VHP and Dal activists take law in their hands throughout India. 5. Had it taken these measures and got its members in jail, that would have deterred these organisation and there would be fear among people in joining these outfits. But Congress has always allowed them to function freely. 6. These groups--from Shiv Sena [that was involved in Mumbai riots] and Bajrang Dal-VHP kept on getting powerful and realised that this was the way to strengthen themselves. Students, teachers, lawyers, everyone joined them to get 'more power' in society. The result is 'Saffronisation'. Congress is reaping what it sowed. And it fails to learn. 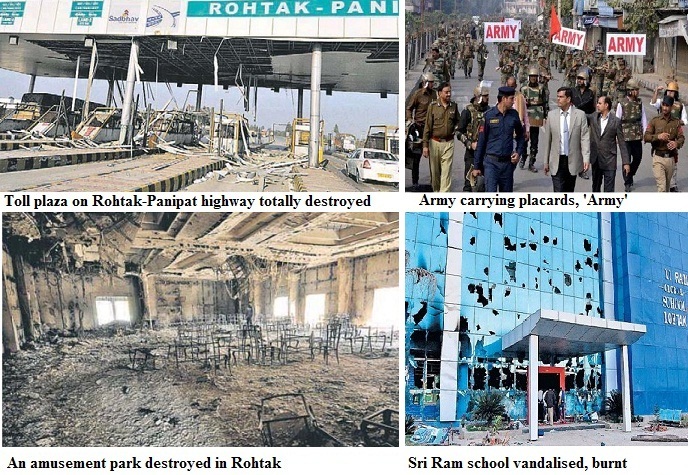 The large-scale destruction of property in cities of Haryana during the violence by Jat protesters, has left a tale of horror in Rohtak and other cities. Schools, hospitals, shopping malls, complexes, highway toll plazas--nothing was spared by the rampaging mobs. People lost their entire belongings, their shops were looted and gutted. Entire school buildings, buses were attacked, damaged and set afire. The classrooms were burnt and there is no place for students to sit for examination. In fact, Haryana has seen such violence that elderly citizens talked of partition riots! 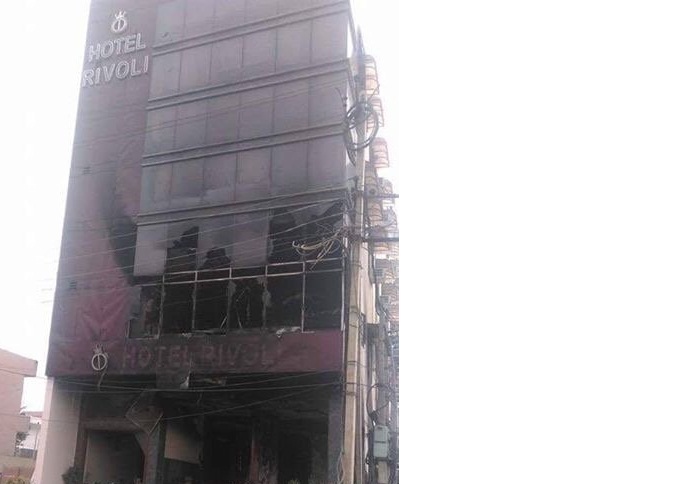 The photographs below can give you an idea about the extent of damage to public property. Rohtak is a wounded city now. 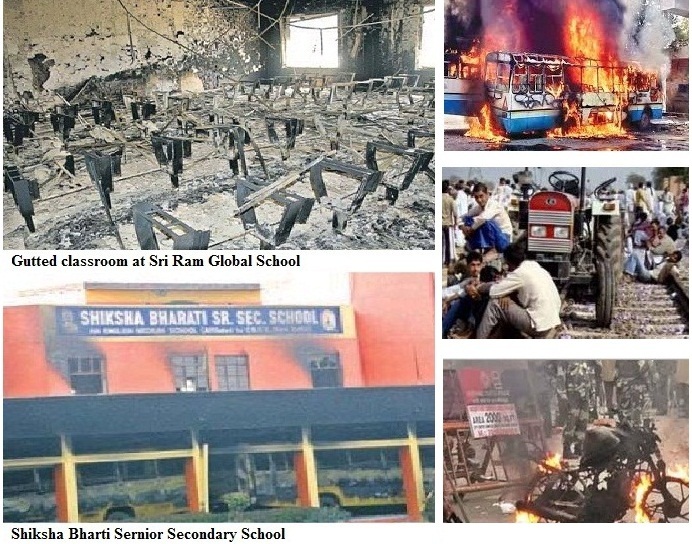 These images show how State government failed to check rioters. Even Army could do nothing, as it was apparently ordered not to be harsh. Remember, photos of Army men carrying placards 'We are Army'! Where else it would happen that army personnel dressed in the olive green fatigues, have to even raise placards? Political class has to answer for it, surely. 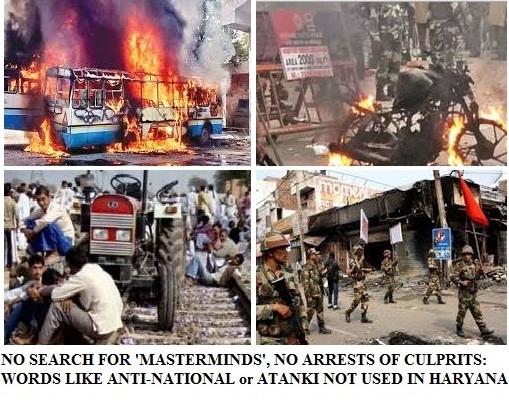 Who are the masterminds of Jat violence in Haryana: No names, no arrests, no anti-nationals though property worth Rs 25,000 crore destroyed? For days, Haryana burnt. The scale of violence during the Jat reservation protest was unprecedented as it spread to 10 districts and even spilled to parts of Delhi, Rajasthan and UP. Buses, schools, ministers' houses, railway stations, train, malls, complexes, police station and outposts, across Haryana were set afire but it remained 'just violence'. Hundreds of trains were cancelled, property worth thousands of crores was gutted and the situation went out of hand to such an extent that Army had to be called in. But prime time debates focused mainly on the Jat's demand, not about the scale of violence and terror. Even as 21 persons were killed in the violence and police firing apart from injuries to hundreds, no one was painted a villain. After all, it's Haryana, a BJP ruled state, not West Bengal where a non-BJP party is at the helm. TV channels who made incidents in which no person was killed in the past, a national issue, were no long passing judgments about 'anti-national' agitation or 'war against state'. Even though army was attacked and the agitation affected water supply to Delhi, it was not 'anti-State' in media. Such was the anger among protesters that for probably the first time, Army was seen carrying plcards of 'Army'. At one point, army martyr's body couldn't be brought and last rites were delayed because of the siege of roads by agitators. Wasn't the soft-handling because of the religion of the protesters? Why else words like 'Aatanki' or 'Aatankwadi' or 'Deshdrohi' were not used for those who crippled the state? While Jat agitation was burning Haryana, Times Now channel termed it, 'sporadic violence'. Most channels didn't show the extent of destruction in the towns of Haryana. That's just a few examples. The losses and damage to property are estimated to be to the tune of Rs 25,000 crores. A Dalit kid was waiting for his father to return home and bring him chocolate. Little did he realise that his father had been killed by the rioters, journalist Neeraj Mohan reported from Haryana. Imagine, when a mob had attempted to set afire a police station in Malda [no deaths], and the crowd that got dispersed with hours, was made an issue of national interest. Similar was the case in Burdwan. Both are in West Bengal, where TMC is the ruling party. From NSA to all MPs delegation, everyone was eager to reach the spot. For almost a month, TV channels created hysteria. However, we are yet to see any of the leaders of Haryana violence painted as 'materminds', 'enemies of the state' or even 'suspects'. The government is ready to talk to them. There is no voice about failure of Manoharlal Khattar government and demand that he should step down. There is just no comparison. When media gets compromised totally, when minds are captured, it is bound to happen. 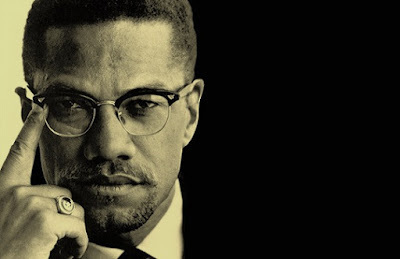 Malcolm X was assassinated 51 years ago but the fearless leader of African Americans, Blacks and Muslims, continues to inspire generations after him. No doubt, Malcolm X alias El-Hajj Malik Shabazz instilled a sense of pride among Black Americans. A powerful orator, he often shocked America. It was not for nothing that he was described, 'the most feared man in US'. Here are some of Malcolm X quotes. Decades after his death, his words continue to inspire countless people and inspires in the struggle for rights for Blacks, Minorities and other Oppressed people across the world. These are quotes on Freedom, Equality, Media, History, Oppression and Tyranny. 1. Nobody can give you freedom. Nobody can give you equality or justice or anything. If you're a man, you take it. 2. Be peaceful, be courteous, obey the law, respect everyone; but if someone puts his hand on you, send him to the cemetery. 3. A man who stands for nothing will fall for anything. 4. The media's the most powerful entity on earth. They have the power to make the innocent guilty and to make the guilty innocent, and that's power. Because they control the minds of the masses. 5. I don't even call it violence when it's in self defense; I call it intelligence. 6. If you're not ready to die for it, put the word 'freedom' out of your vocabulary. 7. If you turn the other cheek, you can be enslaved for 1,000 years. 8. History is a people's memory, and without a memory, man is demoted to the lower animals. 9. Power in defense of freedom is greater than power in behalf of tyranny and oppression, because power, real power, comes from our conviction which produces action, uncompromising action. 10. If you have a dog, I must have a dog. If you have a rifle, I must have a rifle. If you have a club, I must have a club. This is equality. The historic Iqbal Library, which is said to be the first institution named after legendary Urdu poet Allama Iqbal, has completed 75 years. 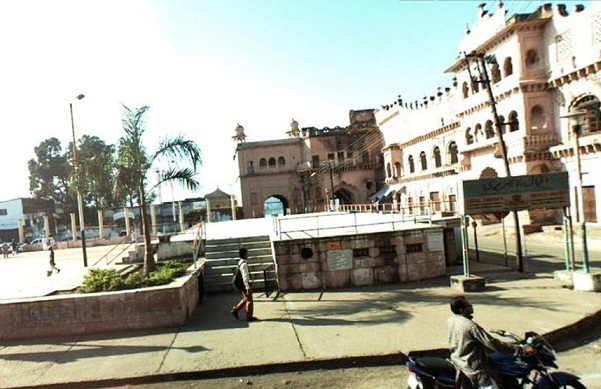 The library was established in Bhopal in 1940, barely two years after Allama Iqbal's death. On February 14, the diamond jubilee celebration was held in the library which now has a collection of nearly 1 lakh books. It is a long story of how a non-governmental library not only survived but kept growing with years and has now become a major institution in the country--all due to dedication and hard work of those associated with it, apart from the Urdu lovers of Bhopal. The library was set up by late Asif Shahmiri in pre-independent India. Late Mamnoon Hasan Khan played a pivotal role in preserving the library. Subsequently, late Umar Ansari gave his best years to the library. After his death, litterateur Rasheed Anjum, is at the helm. He is doing his best to ensure that the library Lack of funds, fall in membership, hardly any government support apart from decline in number of readers have been the major problems facing the library. Today, the library has a rare collection of Urdu, Arabic, Persian, Hindi, English and Marathi books apart from magazines. Files of rare Urdu magazines that ceases publication decades ago, are a prized collection of this library. Interestingly, many in New Bhopal, aren't aware about the library, which is now located in a part of the Iqbal Maidan, amidst the royal complex--Moti Mahal, Shaukat Mahal and Sheesh Mahal. It was at Sheesh Mahal that Iqbal had stayed in his Bhopal visit during Nawab Hamidullah Khan's reign. On February 14, the diamond jubilee function was organised in the library. Principal secretary, Culture, Manoj Srivastava, who was the chief guest, lauded the role of the library. On this occasion, litterateurs, journalists and writers were felicitated. 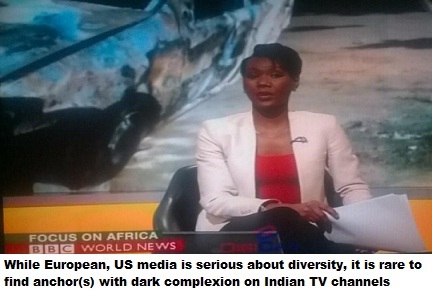 Racism in India: Why Indian news channels don't have dark complexioned anchors, news readers? The mob attack on a girl from Tanzania and the alleged misbehaviour with her, has once again led to a debate over racism in India. We may not acknowledge but racism--colour prejudice is deeply ingrained in our minds. So deep is the prejudice against dark skin--ironically, in a country where majority is brown, that we don't even realise, while practicing it ourselves. The first thing that people talk about while fixing a marriage is about the complexion--is the girl or boy fair? Words like 'fair and very fair' are commonly used in matrimonial advertisements. Comments on looks on common in households, on streets and everywhere. People who are dark are mocked at, 'in jest', and these comments are taken as 'humour', not as racism. It is common knowledge that fair people have advantage in getting jobs. And, there are certain fields where ONLY THE FAIR get a chance. Imagine, this happening in the country that is not perceived as a land of 'Whites' or 'Fair-skinned'. So not just caste, religion, linguistic, gender and other sectarian forms of discrimination that are prevalent widely in our country, we also practice this form of apartheid, which is--'discrimination on the basis of skin complexion'. WHY RARE TO FIND DARK COMPLEXIONED ANCHORS IN INDIAN MEDIA? Tune in foreign news channels and you will find people from diverse backgrounds as news readers and anchors. Not just US that has 14% blacks, a country like UK that has far less population of the blacks, it is common to see anchors of all nationalities. However, in a country of 'browns', it is difficult to find a person with dark complexion on our screens. Of course, there are dark complexioned reporters but isn't it a discrimination that they are not the ANCHORS! Why dark skinned people are not chosen as news-readers. It's a big question for Indian media. As we all know, Dalits and Tribals also have NIL representation in Indian media. While there are reporters who are dark complexioned, Dalits and Tribals are nowhere even in the newsrooms. Repeated surveys have shown how it is just the forward castes and some historically privileged and dominant castes that have representation in Indian media. After the Tanzanian girl was attacked by a mob in Bengaluru, TV channels were shouting--is our society racist? There were panelists who termed it just as an isolated incident, despite the fact that Africans are attacked repeatedly. Students from Africa face harassment, abuse and have difficulty in finding houses on rent. The incident in Bangalore was just another example. We have seen such incidents in Delhi and other cities in the recent past. People from North East face similar discrimination. Clearly, we practice racism and don't want to acknowledge that we are Racists. A problem can be solved when we first accept that it exists. Ostrich-like attitude won't help. This photo on the left shows a train in flames. 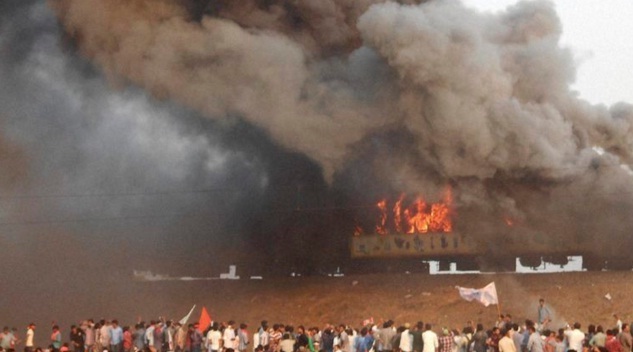 That's Ratnachal Express, which was set afire at Tuni railway station in East Godavari district of Andhra Pradesh. The videos are even more scary. Not just the coaches were burnt, police station and police vehicles were also set afire but there has been 'NO OUTRAGE'. I am forced to write this because an incident in West Bengal--ruckus at a police station and attempt to set it afire, is blown out of proportions and treated as the single biggest threat for national security, for weeks. But an incident of much higher magnitude--an entire train burnt is not, and is simply ignored. There is no round the clock reporting, no reporters sent from Delhi, no political delegations visiting AP, unlike what we saw in West Bengal. The number of policemen injured is also many times more, than in Malda. However, Arnab Goswami is not at all agitated. So is Rahul Kanwal. Hindi TV channels are also silent. The aim of this post is just to show how a pin that drops in West Bengal would be a national security threat, but if a pole falls elsewhere, it would be ignored. The reason is that BJP wants to win election in 'West Bengal'. It [the BJP] just knows one way to win election--by communal polarisation, riots and creating religious divide. It has perfected it in the last three decades. So official machinery, its IT team, its online army, everybody is out to blow things out of proportions in states that are going to polls--Assam, West Bengal and later, UP. Also, states where BJP or its allies rule, won't see negative reporting. So governments in states like Bihar would be the target. 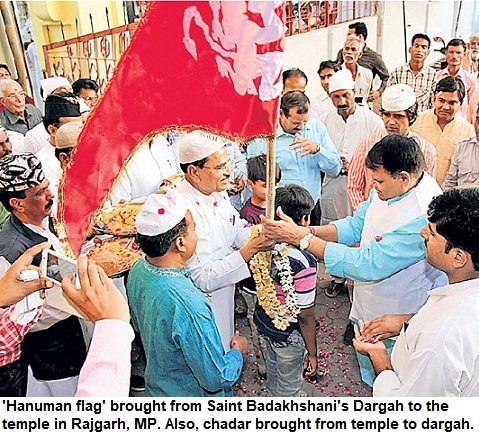 There will be no outrage over Manawar [Dhar] in MP but there will be national outrage over 'Malda' and 'Burdwan'.